A lightweight cream that helps reduce signs of fatigue and leaves skin looking luminous with a youthful glow. Powerful, lightweight and fast absorbing. Helps reduce signs of fatigue and stress. Juveleven™ (Juvefoxo™) a powerful hexapeptide that helps to rejuvenate skin cell performance by 10 years. Leaves skin looking luminous with a youthful glow. Apply on face and neck in the morning and evening after cleansing and toning. 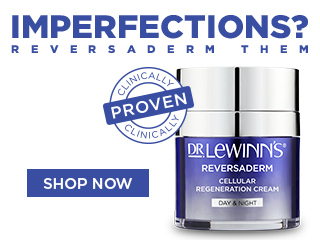 For optimum results, follow with Dr. LeWinn’s Eternal Youth Luminosity Day & Night Cream. For superior results use in conjunction with Eternal Youth Luminosity products, however may be applied under any Dr. LeWinn's skincare moisturisers.